Of all dietary supplements on the market, multivitamins are the most popular, taken by 39 percent of U.S. adults. In all, there are about 75,000 supplements on the market (including multivitamins) and Americans spend about $25 billion a year on them, betting that they will improve their health. And that’s really the kicker, isn’t it? If you’re spending money on a multivitamin, you want to know that it works. Sometimes you may be able to feel the difference – increased energy, for instance — but other times the benefit may come as a reduced chance of larger health issues that, though undeniably important, is not a benefit you can put your hands on. Recent research even came out claiming that multivitamin supplements are a waste of money, but what the studies really did was highlight the importance of choosing the right multivitamin. In some cases, studies have shown that multivitamins may provide little benefit because they contain doses that are lower than the upper tolerable limit. That is, the potency is simply too low to provide a meaningful benefit. The formulation of your vitamin, as well as the form of ingredients used, will also absolutely affect its usefulness in your body. The fact is there’s plenty of research supporting the effectiveness of vitamin and mineral supplements. But in order to get the most benefits, it helps to know what to look for. You may be surprised to learn that Recommended Dietary Allowances (RDAs) are generally defined as the level of a nutrient needed to prevent a deficiency. While this is important, much higher doses are often needed to provide additional nutritional benefit. The effective dose varies by nutrient and individual. For instance, your specific nutrient needs may go up or down depending on your age, health status and other factors (such as pregnancy, breastfeeding, illness, physical activity level, etc.). When choosing a multivitamin, you want to look for a manufacturer that has done the research for you and included nutrients at the high-potency effective doses instead of the lower prevention-of-deficiency doses. At the same time, you want to be sure your vitamin supplement does not contain excessive levels of nutrients, either, and this is where finding a trusted, reliable brand is invaluable. Naturopathic medicine takes a whole-person approach to care with an emphasis on maximizing prevention and maintaining ongoing wellness. Your multivitamin should be formulated with these standards in mind, including a wide array of the synergistic vitamins, minerals and trace elements your body needs to function optimally. For instance, CNCA Health supplements are made from the finest raw materials, manufactured to the most exacting standards, and formulated based on the advice of naturopathic physicians and health care professionals at Cancer Treatment Centers of America® hospitals. Our patients are highly sensitive and only the highest purity is acceptable. Our supplements are “Doctor Recommended. Hospital Approved.™” starting with scientifically proven ingredients and expert formulations. Then our products are subjected to extensive quality testing that exceeds FDA regulations to ensure that CNCA Health supplements are the safest, most reliable products you can buy, produced to safely meet the nutritional needs of even the most sensitive of patients. You want your multivitamin to contain the proper forms of nutrients; that is, the ones that science has shown to be most bioavailable, therapeutic and safe for the human body. For instance, there is a vast difference between vitamin D2 and D3, vitamins K1, K2 and K3, beta carotene and vitamin A, and many others. Some are synthetic while others are whole-food based while some are more effective and safer than others. For instance, with vitamin D you want to look for vitamin D3, which is the same natural vitamin D your body makes when exposed to the sun. Vitamin D2, which is synthetic, may be less effective. Most vitamin E supplements, meanwhile, contain a synthetic form called dl-alpha-tocopheryl, which is made from petrochemicals. Research suggests that natural vitamin E, d-alpha-tocopherol (or a natural vitamin E with mixed tocopherols and tocotrienols), is better absorbed and preferred by your body. A dietary supplement manufacturer does not have to prove a product’s safety or effectiveness before it is marketed. 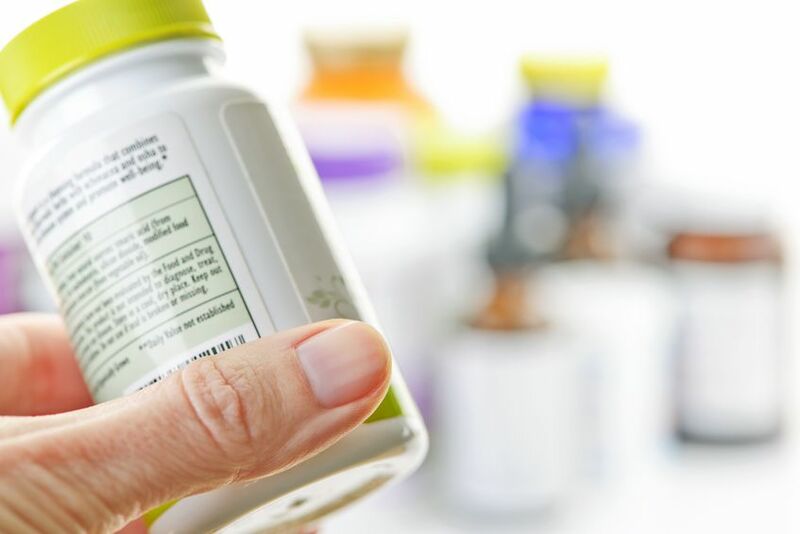 Further, while the U.S. Food and Drug Administration (FDA) does regulate dietary supplements, the regulations are generally less strict than those for prescription or over-the-counter drugs. This is why it’s so important to get your supplements from reliable and trustworthy sources. While some supplements are pure and contain the exact doses listed on their labels, others may be far from it. At CNCA, we rely upon qualified third-party analytical labs to validate all ingredients and verify finished products. What’s NOT in the product is as important to us as what is IN the product. In an effort to protect your health, we assure maximum freedom from unwanted substances by testing for up to 245 possible contaminates—much more than other manufacturers. Why is a Multivitamin Important? In fact, they have reported that 10% or more of the U.S. population is deficient in these five nutrients: Zinc (12%), Vitamin B6 (14%) Vitamin C (31%), Vitamin A (44%), Magnesium (56%) and Vitamin E, where 93% of the U.S. population simply does not get enough Vitamin E from their diets. A high-quality multivitamin acts as an insurance policy of sorts, helping to make up for the times when you can’t or don’t eat perfectly to support your overall health. [ii] Ann Intern Med. 2013;159(12):850-851-851. [iii] Ann Intern Med. 2013;159(12):806-814-814.